A man from Uzbekistan was robbed while waiting for an express bus to Incheon Airport from Gwangju to return home, last month. On Wednesday, Gwangju Seobu Police said they booked a 59-year-old Korean man surnamed Shim. 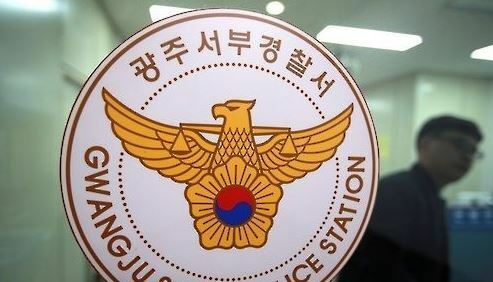 He is being charged for stealing the bag of the 25-year-old foreign laborer at around 4 a.m. on June 12 in the waiting room at the U-Square Gwangju Bus Terminal. The Uzbek man had been asleep on a bench with his bag placed at his head. The bag contained about 1.8 million won ($1,600) in cash along with valuables worth some 2.4 million won, his passport and a cellphone. He had earlier remitted other savings to his family. The man, having lost everything on him just as he was about to leave the country, returned home with the help of the Uzbekistan Embassy and fellow foreign workers. Police say Shim appears to have committed the crime motivated by the money, as he was unemployed. The man has a long criminal record, and was going through court proceedings when he allegedly committed the robbery. Shim was recently put into court custody and is now additionally booked by police for further investigation into the case involving the Uzbek victim. The victim’s belongings were unable to be retrieved as Shim had already used or discarded them.